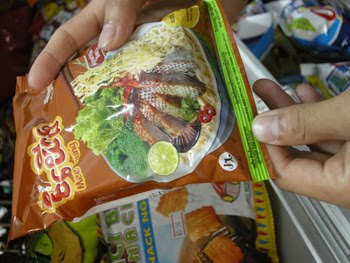 A shop sells Cambodia-produced Mee Yeung instant noodles carrying the halal logo. The Kingdom of Cambodia is yet to establish a formal Halal certification process. Ith Sothoeuth Institute will mean Muslims will not be forced to buy goods on faith alone, Cambodia’s government could set up a body to certify Halal food in the country as early as this year, the official in charge of the proposed Cambodian Halal Institute said. domestic trade at the Ministry of Commerce said. date due to a lack of resources. some people put the word halal on their produces, but sometimes Islamic people still don’t eat their products because they don’t trust the label,” he said. produced by Men Sarun Co.
not carry the label, given that it is not eaten under Islamic law. lobbied Hun Sen to transfer authority to the ministry. was traditionally the role of local Islamic communities. Halal products which are locally made. Muslims, trusting them that it was prepared according to halal methods.